news Second-tier bank and insurance company Suncorp has reaffirmed its plans to replace its legacy Hogan core banking platform with a more modern Oracle-based alternative in 2016, with the bank finally putting a date on an overhaul that has been on-again, off-again for several years. Like most of Australia’s major banks, Suncorp is currently running a legacy core banking platform, in its case based on CSC’s Hogan architecture, which has been in place for decades. The platform is unwieldy and based on outdated technology, which is constraining Suncorp’s ability to bring new products to market and operate in an agile fashion. The bank’s top technology executive, Jeff Smith — formerly chief information officer and now Business Services chief executive — has been talking up the potential for the platform to be replaced since as early as March 2010. 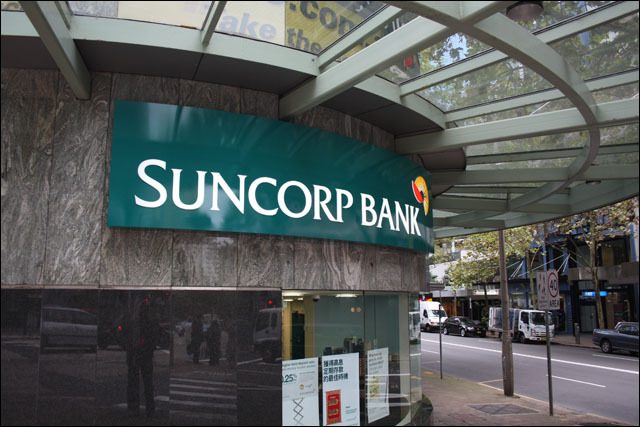 Initially, despite the platform’s relative newness in the market, Suncorp picked Oracle’s new banking platform in early 2012. However, since that time the bank has been slow to make its move to the platform, and is believed to have been continuing to weigh its options. The speed of the migration is not surprising. National Australia Bank is also migrating to Oracle’s core banking platform, but NAB has been open about the fact that it is pursuing a ‘co-development’ roadmap with Oracle on the software, meaning that it is helping the software vendor steer the development of the platform and acting as an early guinea pig. The other major core banking revamp to have been undertaken in Australia is the billion dollar SAP- and Accenture-driven initiative at the Commonwealth Bank of Australia, which has been delivered successfully. In presentation materials associated with an investor day the bank held today, Suncorp chief executive Patrick Snowball said the bank would “substantially complete” its existing internal simplification program in the 2015 financial year, and “deliver major programs through to FY16 including the new banking platform, real estate consolidation, finance reporting optimisation, procurement simplification and the critical Business Intelligence project”. iTNews has further reported (we recommend you click here for the full article) that the bank will partner with Oracle, Thoughtworks and Wipro. The project as a whole is expected to cost $270 million. Today’s comments formally mark the entry of Suncorp into Australia’s core banking overhaul race, joining CommBank and NAB and placing the bank ahead of ANZ and Westpac in its modernisation efforts. CommBank’s successful core banking overhaul has already delivered a sizable amount of benefits to the bank, including real-time financial transfers, and the bank is now viewed as the technology leader in the Australian market. It appears that much of the responsibility for Suncorp’s ongoing internal simplification and transformation programs will rest with the Business Services division run by Smith. Today, Smith said the formation of a leading shared services centre underpinned these programs of work. “These are large change programs founded on a culture of innovation using the principles of Lean and Agile which embed strong project management and ‘way of working’ principles,” he said. Smith said duplication and inefficiency could weigh heavily in a top-15 company with legacy acquisitions. Smith said the use of expert partners was a fundamental of innovative companies. “No company can efficiently and productively carry the expertise it needs inhouse. You’re only as good as the company you keep and we’ve chosen leading partners to improve all facets of our business and help us manage the risks,” he said. “That particularly applies with the Group’s move to cloud technology where a range of world-leading providers are helping us change the way Suncorp builds and deploys applications. Cloud is lowering hardware costs and reducing risk by spreading workloads and building more resilient, scalable applications. This allows us to innovate faster and gives us a powerful point of differentiation.” It appears Business Services has around 850 staff. It’s good to see Suncorp finally commit wholeheartedly to the core banking replacement project it’s had stewing for some years. Personally, I have my reservations about the Oracle platform it’s chosen — it’s a little bit untested and is still under active development, as NAB and the vendor have made clear over the past year. However, clearly Oracle does have the resources and incentive to make this work. If it gets Suncorp and NAB right, there are plenty of Hogan installs it can swap out globally. When it comes to the mid-2016 timeframe for the bank to deliver on the project, however, I am quite a bit uncertain. The experience with CommBank has clearly shown that core banking overhaul projects are among the most complex ICT projects in existence. Yet comments made by Suncorp Bank CIO today to iTNews appear to suggest that Suncorp has only really been testing Oracle’s platform for a matter of months. A separate article published by the Financial Review suggests things are a little further progressed. Can Suncorp really transform its entire core environment within two years? If any bank could, it would be Smith and his team, who are known industry-wide for their agile practices and forward-thinking approach. And yet I still doubt. My prediction is that the project will run late and that it will take quite a bit more time than Suncorp is planning to achieve a complete rejuvenation of its systems. This would be the standard pattern of behaviour with these major ICT projects.